Outer Mongolia has vast grasslands, three major mountain ranges, forests in north, and the great Gobi Desert. Although Buddism as the major religion, Christianity in Mongolia is now a reality. In 1992, AGWM missionaries made a trip to Mongolia to see what could be done to assist the people. The country was transitioning to a market economy after 70 years of communist influence. As a result, living conditions were poor and the nation struggled with food shortages, high unemployment and a weak infrastructure. The following year, 50 people from a ministry team in Hong Kong joined AGWM personnel in a three-day gospel outreach in the capital city of Ulaanbaatar. Hundreds of Mongolians accepted Christ. The following Sunday, Hope Church became the first AG congregation in the nation. In 1994, the church was officially registered with the Mongolian government. Many are interested in Christianity, but their reasons are mixed. In the past, a significant attraction was the chance of employment by missionaries/NGOs. Today, some who come into the church drift away or never become disciples. Age-imbalanced congregations are usually comprised of many young adults and students, but far fewer of the older generation, especially older men. Many do not bring their children to church. Rural churches have very little support or teaching due to a lack of finances and their distance from the capital, where most of the training and resources exist. Developing Mongolian church leaders is a strategic need and the key to strengthening the Church. Good training is central to this – most churches, especially rural ones, desperately need biblically astute leaders and teachers. Pray for the right models of leadership and appropriate support structures to develop—from high-level Biblical academic study to informal training of laity. Pray for effective discipleship and Christ-like living among believers. 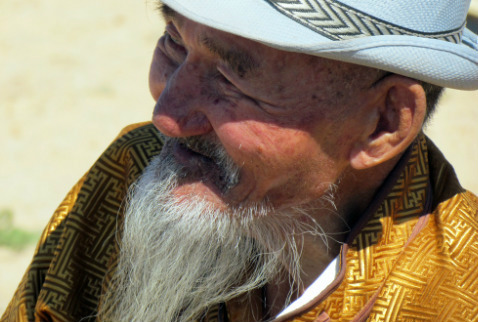 Pray for a better contextualization of biblical truths to fit Mongolian culture. Pray for a harvest among all ages and generations. 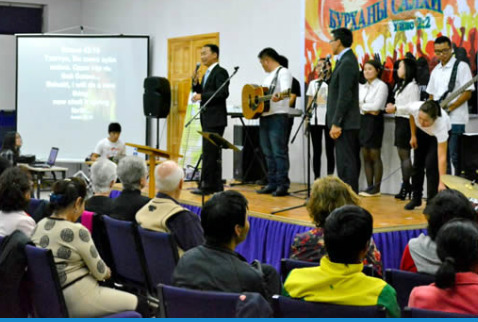 People from across Mongolia gathered at Hope Church in Ulaanbaatar, the nation’s capital, for two days of services to commemorate the 20th anniversary of the Mongolia AG. The services concluded two weeks of celebration events. Ed and Joy Schlossmacher, missionaries to Mongolia since 1996, are involved in ministry at Hope Church and helped organize the anniversary events.